From August 16th-26th, five Japanese high school students from Okinawa travelled to Silicon Valley in California for nine days in order to gain their deep understanding of leadership and entrepreneurship. From August 17 – 27, 2014, students from TOMODACHI-Frogs jr. traveled to the Silicon Valley, California area in the United States along with participants of the Ryukyufrogs program. 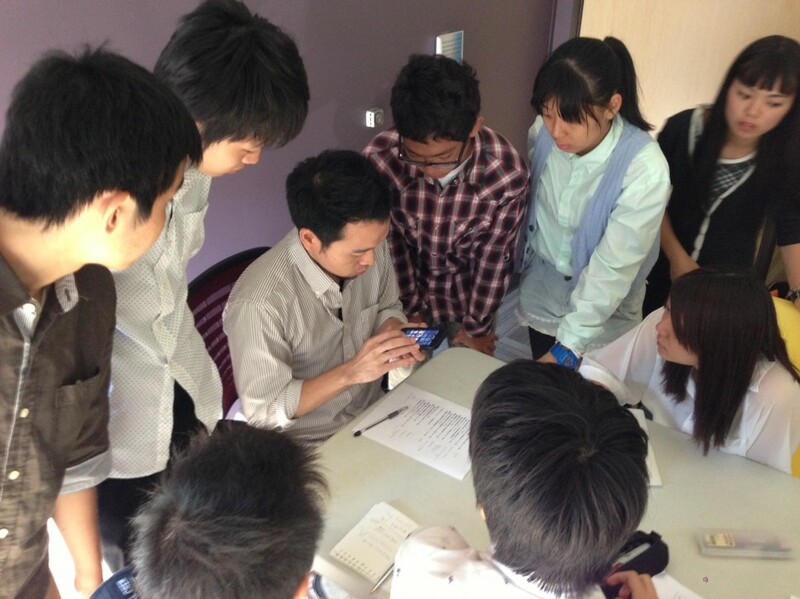 The Ryukyufrogs program was established in 2007 to invest in future leaders, and receives donations from private companies to send students from Okinawa to the United States. TOMODACHI-Frogs jr. was developed specifically for high school students. In Silicon Valley, the participants visited large corporations such as Twitter and Google in addition to start-ups and Stanford University. The students engaged in sessions on entrepreneurship, ecosystems, and learned about top notch universities as well as meeting with University students, attending a session with venture capitalists and participating in an entrepreneurship event at Stanford University’s d. School named STeLA. Compared to last year, this year’s program included more people-to-people exchanges and the participants gained many valuable experiences. The TOMODACHI-Frogs Jr. Program sent four students between the ages of 17-24 to Silicon Valley in California for a ten-day entrepreneurship study tour from August 18- 28, 2013. The program provides students with a learning experience abroad focused on information and technology and hopes to enhance the students’ future educational and career opportunities. 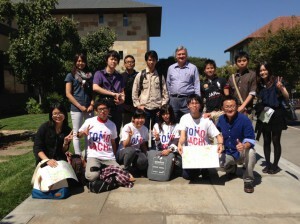 The Consulate General of the United States in Naha, Okinawa generously supported the students. In the U.S., the students participated in workshops with a variety of companies that specialize in internet technology and social media, such as Google, Apple, Yahoo, and Twitter. They learned about entrepreneurship from a range of representatives from small start-up companies to large-scale corporations, and also had an opportunity to tour The Tech Museum of Innovation and the Computer History Museum.